If this year’s North American International Auto Show in Detroit were a party, the attire would be formal, because everywhere I looked I found black. And not just any black, but gloss black – otherwise know as piano black. I found it on wheels, and I found it on grilles. And since I went during the preview days when a lot of auto designers also go, I found it on a good percentage of the people at the show. Since the Detroit show comes so closely on the heals of the LA Auto Show, there were few truly new vehicles on display. And since you can read about the trends from LA here and here, I am only going to discuss what has changed since then. 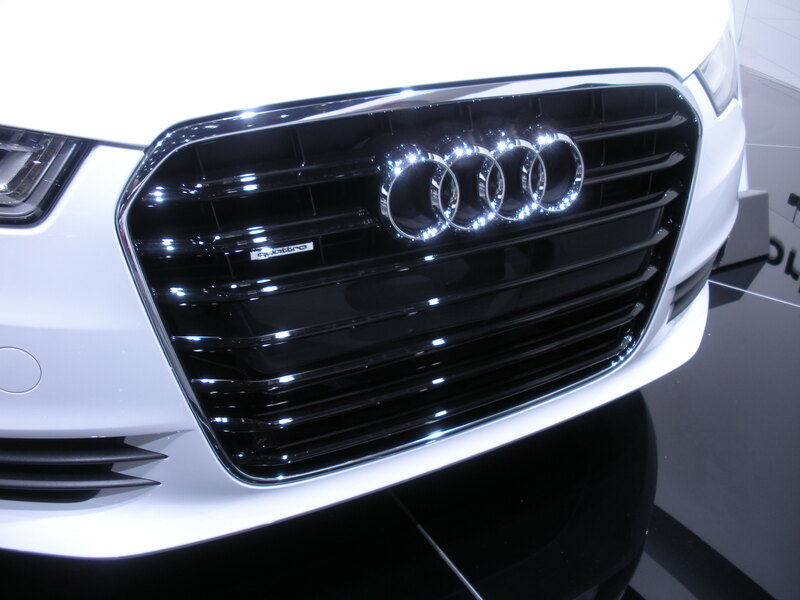 A great example of the use of gloss black could be found in the Audi stand. Not only does the new 2011 A6 sports a grille that appears to be 90% gloss black, just about every Audi in the stand had it somewhere. The TT sported a grille and wheels in the same finish and the R8 Spyder even had gloss black trim on the rear. Its important to note that although gloss black was found just about everywhere, in almost every case the finish was combined with other finishes, typically aluminum (silver) or bright chrome. This combination of finishes continues especially on wheels. 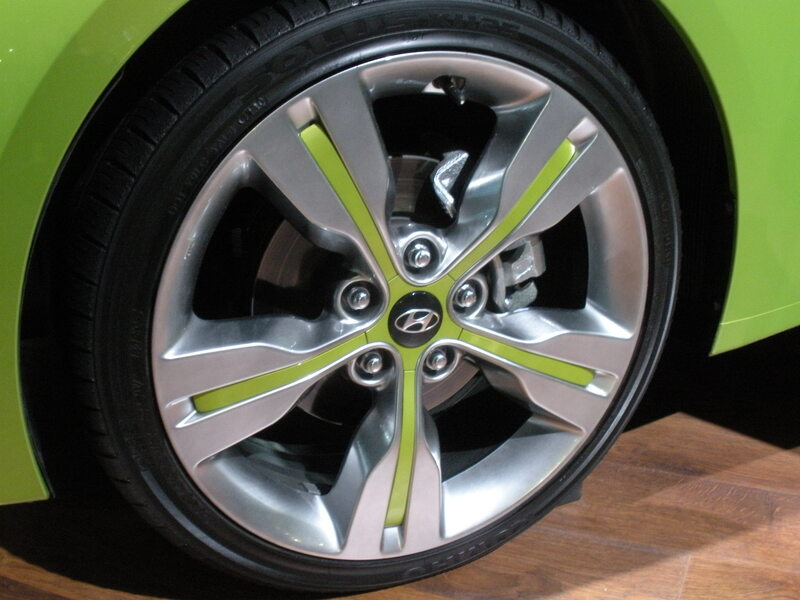 Hyundai’s new Veloster, for example, showcased a wheel with interchangable inserts in the center. Body-color matching on one vehicle, and contrasting on the other (gloss black of course – just like the grille – go figure). 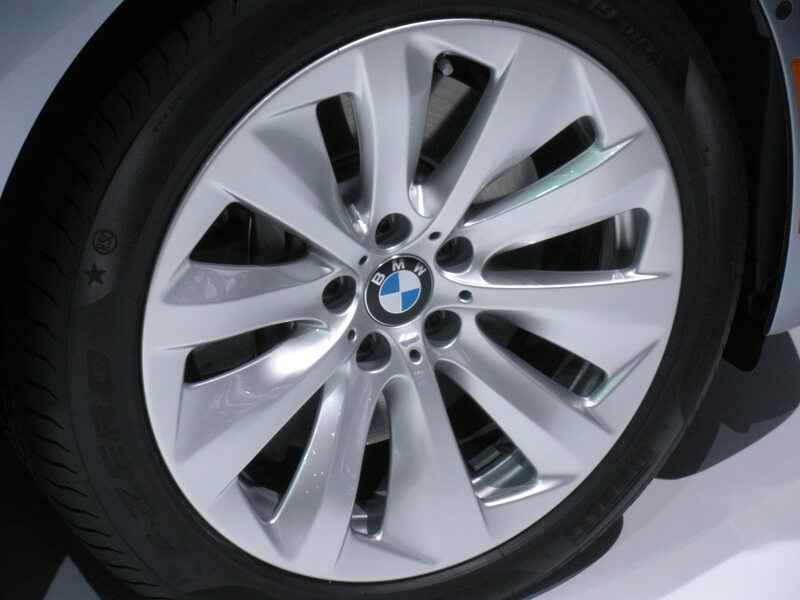 There is a great picture on the Autoblog site of the wheels in a warehouse without the insert. I wonder if they are going to make them dealer-installed so every customer can have their own color? 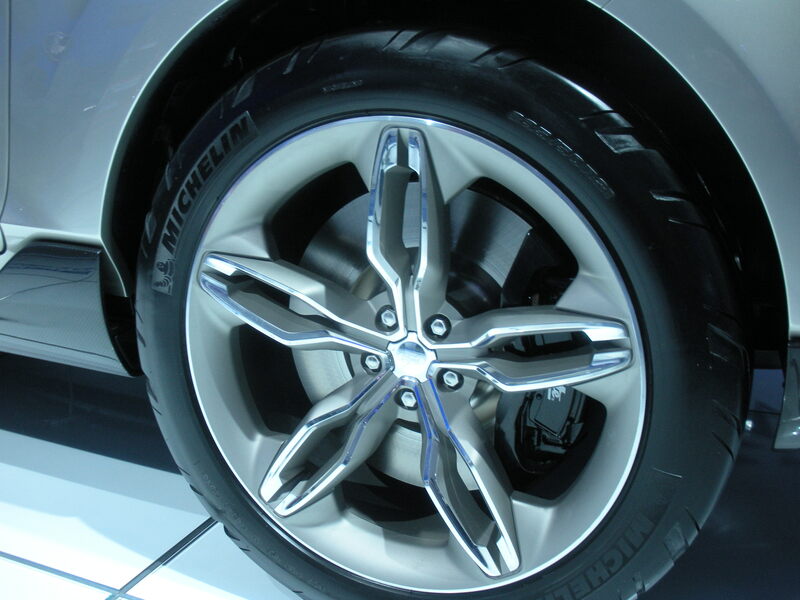 Another great wheel with multiple finishes was the bright chrome and silver wheel on the Ford Vertrek Concept. The Vertrek is a hint at what the next Escape will look like once it’s crossed with the Kuga. The wheel design is especially interesting because it does not look to be produced with inserts – of course concepts often discard the question of production viability to test feedback on specific design elements. 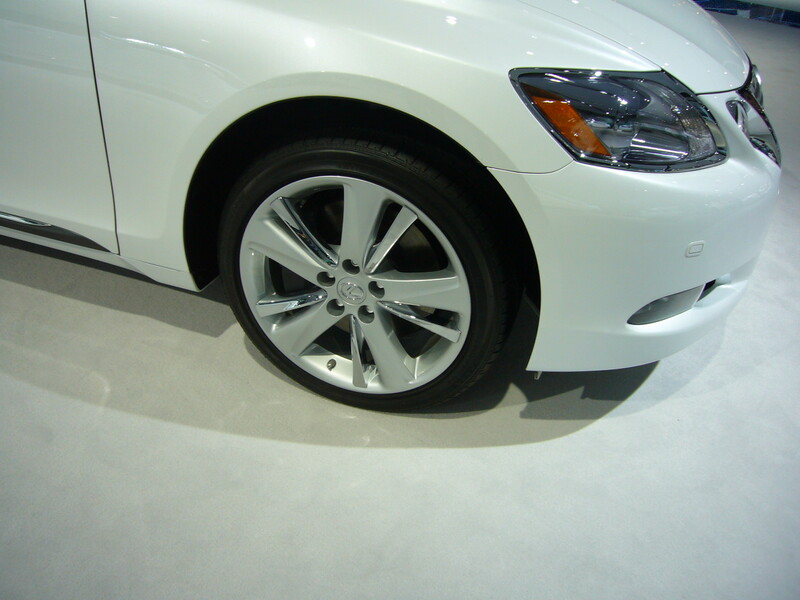 Lexus’ method to bring a bright chrome finish to a wheel as an accent is to use mechanically attached bright chrome inserts like this wheel on the GS Hybrid. This design is a variation on the wheels Hyundai used to use on the Elantra. 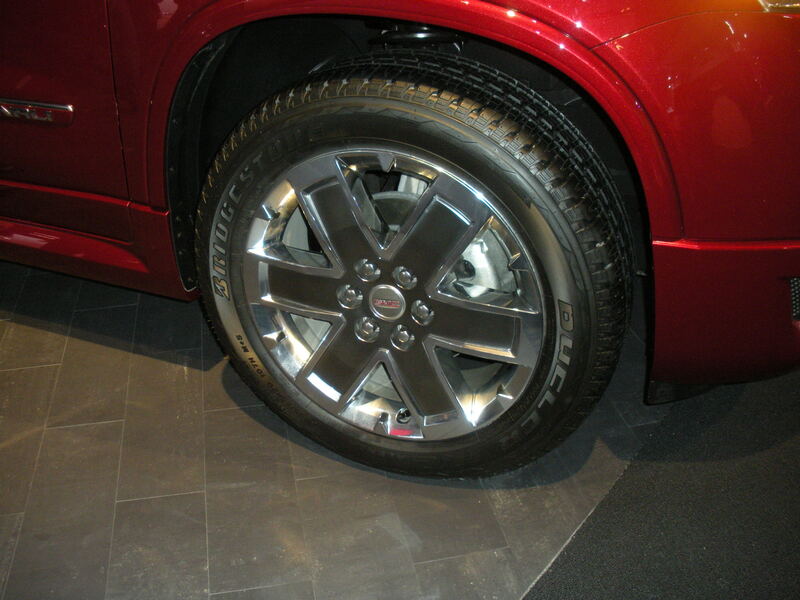 Lacks’ Selective Spinelle Technology brings probably the most elegant solution to combining a bright chrome finish with a second metal finish on the GMC Acadia Denali. Because these multiple finishes can be combined on a single part with this technology, you do not have any potential issues with the attachment of secondary parts (like the parts rubbing together and removing the corrosion protection). Full disclosure here is necessary, I am no longer employed by Lacks, I just really like the appearance this technology brings. One last trend that is continuing since the LA show are wheels that look to be aerodynamically designed (while I am many things, I have no experience in aerodynamics – I am just guessing their objective). In my opinion these semi- and almost full dish wheels look heavy, but a few of the wheels were still attractive. It would be interesting to find out how much these wheels weigh, and if their aerodynamic benefits outweigh the additional weight. If a wheel manufacturer could develop a wheel that is aerodynamic, lightweight and still attractive, they could have a real winner on their hands. 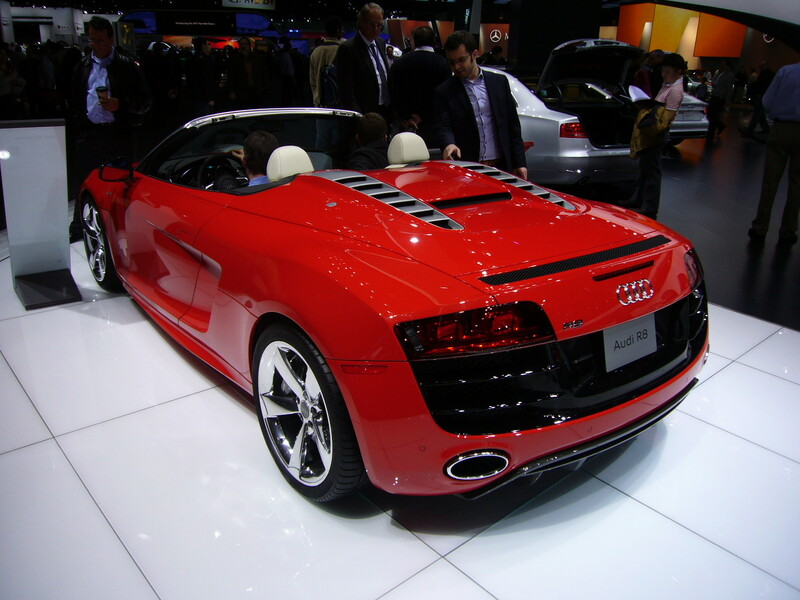 That covers today’s trend analysis of the 2011 Detroit Auto Show. I focused mainly on wheels with a little bit about grilles and the results? Taking a part that used to be presented in a single finish and using a combination of finishes is the key design element I am seeing. Grilles always contained some design detail but many used to be all chrome or all black plastic are now sophisticated combinations of bright chrome and gloss black. Wheels design is no longer about choosing which 1 of 20 different shades of silver to paint your 5-spoke wheel. The better ones are now combining different finishes and the amount of detail is approaching the level found in grilles. Next week I will revisit some of the smaller components such as door handles and mirrors and tomorrow we will finally have the report from “The Stud” so be sure to come back then. This entry was posted in Trends and Fashions and tagged 2011 NAIAS, Audi A6, BMW 7-Series, chrome accents, colored wheel inserts, Ford Vertrek, gloss black, GMC Acadia Denali, Hyundai Veloster, Lexus GS Hybrid. Bookmark the permalink.